We are committed to our core values of Zero Harm for Everyone, Everywhere and Care for the Community & our Environment. We believe that all work related injuries, illnesses and environmental incidents are preventable, and work to be a valued member of the communities in which we operate. 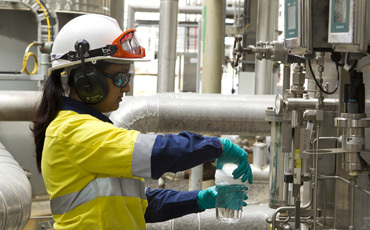 Our commitment to our employees, contractors, customers, shareholders and communities is set out in our health, safety, environment & community policy. In each of these key areas we drive a culture of continuous improvement.